No one wants to discuss the X’s and O’s of the Boston Celtics’ Game One loss to the Chicago Bulls Sunday night. However, the show must go on and if the Green want to come away with their first playoff series victory since 2012, there are two major areas upon which they must improve. This one should come as no surprise to anyone that watched the game. Chicago out-rebounded Boston 53-36 overall, with a 20-12 edge in offensive rebounds, too big a difference to overcome. Boston has had problems rebounding all season, ranking 26th in the league in that category. While some point the blame at the Celtics’ decision to stand pat at the trade deadline instead of trading for a rebounding big man, it is more realistic to decipher how rebounding can be improved with the current roster. Robin Lopez certainly had his way on the glass all night, as neither Al Horford nor Amir Johnson could consistently box him out. Lopez muscled his way to 11 rebounds, with eight coming on the offensive end. The fact that Horford and Johnson combined for 11 rebounds tells the tale of a Boston front court that simply got outworked in the paint. In fact, it was Jae Crowder that led the team in rebounds, with 8. There is no question that the Celtics will have to put more emphasis on rebounding to have a chance at winning Game Two. This could mean having all five players crashing the glass on both ends of the floor. Good things happen when Boston’s guards, especially Avery Bradley, get involved in the fight. It will also mean making more of an effort to box out and keep Chicago from easy put-backs down low. 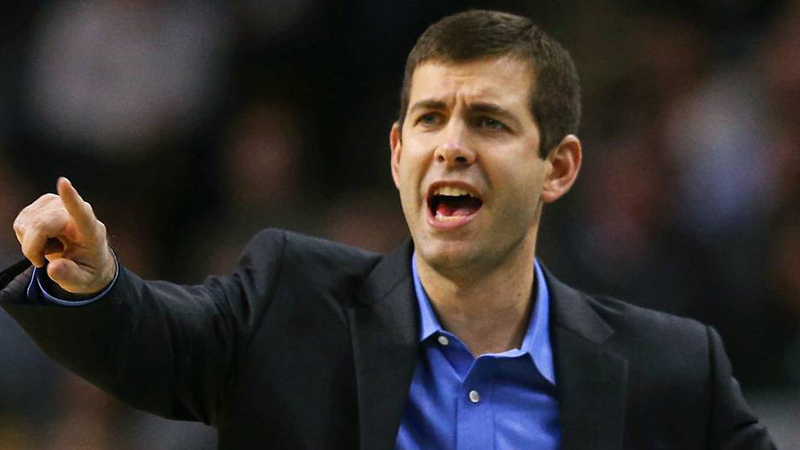 Brad Stevens and the Celtics are well aware of their biggest weakness. Look for every rebound to be a dogfight in Game Two. Chicago’s bench outscored Boston 35-22 Sunday night, and while the unexpected 19-point explosion of Bobby Portis is largely to blame, the Celtics bench underperformed as well. Stevens may have done a little experimentation, playing Tyler Zeller, Gerald Green and Jonas Jerebko each for six minutes or less, but the true difference makers for this group are Marcus Smart, Kelly Olynyk and Jaylen Brown. Those three combined for 21 of Boston’s 22 points. Do not take it lightly that Brown had a perfect shooting night, going 2-2 from the field including a three point shot that is looking more dependable with each game. Brown may be the only bench player that can create his own shot and consistently beat his defender to the rim, yet he played only 11 minutes compared to Smart’s 31 and Olynyk’s 23. He may only be a rookie, but Brown has the potential to be a major X factor in this series. Marcus Smart seems to be the one player on Boston’s roster that Chicago has no problem allowing open looks from three-point range. Though Smart made them pay on Sunday, shooting 3-7 from deep, his true offensive talent is showcased either in the low post or charging at the rim off of pick-and-rolls. Perhaps bringing Terry Rozier back into the mix and allowing Smart to play off the ball could turn him into a more consistent offensive threat. Olynyk will always be criticized for being a 7-footer who plays small. That isn’t likely to change anytime soon, but what Olynyk does on good nights tends to work well for him. When catching a pass under the basket, usually from Smart, Olynyk is crafty enough to finish around multiple defenders. And if that doesn’t work, he is still a good enough three-point shooter to stretch the floor and allow Smart or Brown to have ample driving lanes. If he consistently plays aggressively and looks for his shot, Olynyk can definitely provide a spark off the bench. The Celtics tip off against the Bulls for game No. 2 on Tuesday at 7 p.m.